Join us this Bank Holiday Sunday for some tasty Sausages specially made by our Butcher for the occasion. Also some locally sourced cider from Derby and of course the traditional Cornish Scrumpy. 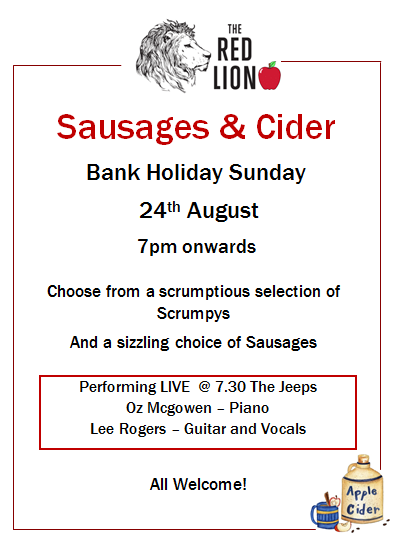 Or just come along for the live music, The Jeeps will be entertaining us from 7.30pm.